During the 1980s, Queen ceased to be a big record seller in the U.S., but maintained its superstar status at home. In the '90s, following the death of Freddie Mercury, there was a brief resurgence of interest in America triggered by the inclusion of "Bohemian Rhapsody" in the movie Wayne's World. But in 1995, when the surviving members got around to releasing the final recordings done with Mercury in the form of Made in Heaven, the status quo had returned. The album topped the charts in Western Europe, with its single, "Heaven for Everyone," reaching the Top Ten, while in the U.S. it was on and off the charts within weeks. 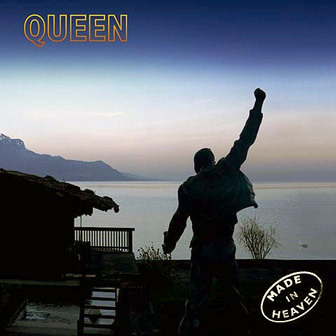 Musically, Made in Heaven harked back to Queen's 1970s heyday with its strong melodies and hard-rock guitar playing, topped by Mercury's bravura singing and some of the massed choir effects familiar from "Bohemian Rhapsody." Even if one did not know that these songs were sung in the shadow of death, that subject would be obvious. The lyrics were imbued with life-and-death issues, from the titles — "Let Me Live," "My Life Has Been Saved," and "Too Much Love Will Kill You" — to lines like "It's hopeless — so hopeless to even try" ("It's a Beautiful Day"), "Waiting for possibilities / Don't see too many around" ("Made in Heaven"), and "I long for peace before I die" ("Mother Love"). The odd thing about this was that Mercury's over-the-top singing had always contained a hint of camp humor, and it continued to here, even when the sentiments clearly were as heartfelt as they were theatrically overstated. Maybe Freddie Mercury was determined to go out the same way he had come in, as a diva. If so, he succeeded. — William Ruhlmann.